Hacking attempts on Ecuadorean government institutions have doubled since the country revoked WikiLeaks founder Julian Assange's asylum at its London embassy last week, an official said on Monday. 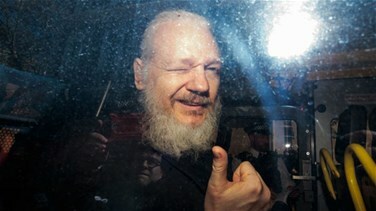 Telecommunications Vice Minister Patricio Real told reporters the websites for the country's presidency, central bank and foreign ministry, among others, has received 40 million hacking attempts per day since Assange was dragged out of the embassy on Thursday by London police. "During the afternoon of April 11 we jumped from 51st place to 31st place worldwide in terms of the volume of cyberattacks," Real said. After his arrest, US prosecutors announced charges against Assange for allegedly conspiring with former Army intelligence analyst Chelsea Manning to gain access to a government computer as part of one of the largest compromises of classified information in US history.